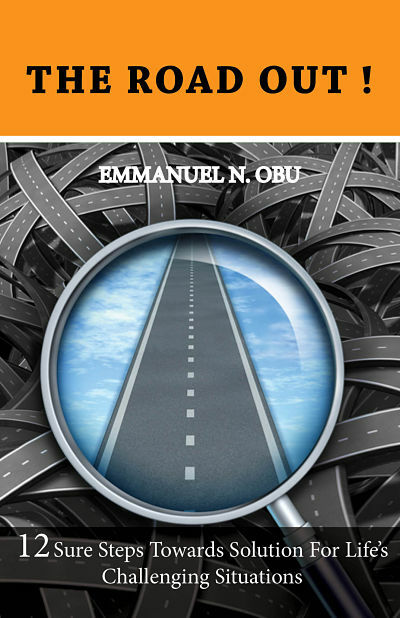 In this book, THE ROAD OUT you will find a very potent guide, fresh insight and spiritual giant steps that are capable of helping you overcome situations and come out of problems. Situations don't just go away, they require discovery, truth, wisdom and practical approaches to solve them. There have been visible and invisible creations, provisions and solutions before situations. God provided everything in lavished abundance for life’s every question. Diligence and determination will give you access to them. The problems we humans have are the limitations to insight and clear vision of what has been made available to us, regardless of what we see around us presently. This is why we don’t only have to think out of the box, but we have to think like God—think supernaturally! “For who hath known the mind of the Lord, that he may instruct him? but we have the mind of Christ” (1 Corinthians 2:16). When you have the mind of Christ and see things from His perspective, no situation will be impossible to solve. And this is why you will realize it is small to think big, because whatever you can think about yourself, your situation or your future is far less than what God thinks and can do for you. So, don’t just think big—think God!